When will be Alaska Flip N Move next episode air date? Is Alaska Flip N Move renewed or cancelled? Where to countdown Alaska Flip N Move air dates? 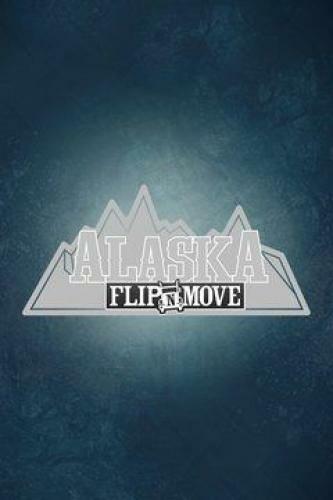 Is Alaska Flip N Move worth watching? On Alaska Flip N Move, an Alaska-based team buys run-down homes at auction and then transports them across frozen lakes and icy roads to their final destination. Each episode highlights the thrilling journey of hauling a home through ice and snow, as well as the whole-home renovation that follows. The Sikes family takes a chance on a lake house with potential; they plan to turn it into a vacation home with enough room for the entire family but run into a major snag while trying to move it across a frozen lake. Flipping friends Bob and Jubal take the empty top half of an old barn and turn it into a modern, open-concept living space; a husband-and-wife team get a bargain on a shipping container that has to be moved down a winding and icy mountain road. Alaska Flip N Move next episode air date provides TVMaze for you. EpisoDate.com is your TV show guide to Countdown Alaska Flip N Move Episode Air Dates and to stay in touch with Alaska Flip N Move next episode Air Date and your others favorite TV Shows. Add the shows you like to a "Watchlist" and let the site take it from there.